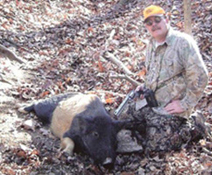 Razorbacks are domestic Hogs that have gone wild and can be brown, black, white or spotted. 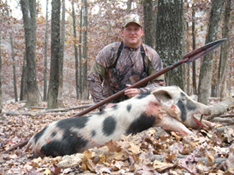 The Tennessee grown Razorback Hog is a fine addition to your wall and a necessity for any Boar hunter! 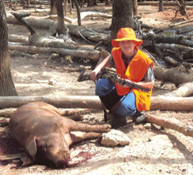 Real Hog hunting for real hunters.